Young defender George Swan is back at Leeds United on trial following his release from Manchester City at the end of last season. Swan is said to have been impressing upon his return to Thorp Arch and he played 60 minutes as United's Development Squad got their pre-season underway with a 0-0 draw against Grimsby Borough on Sunday. 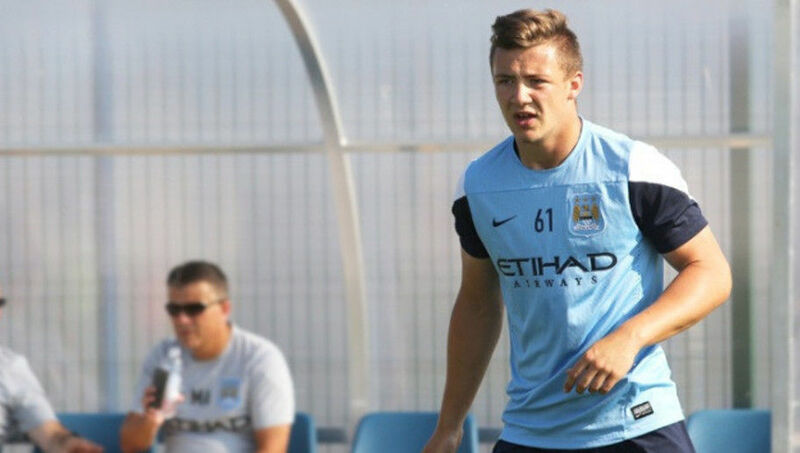 The 19-year-old, who originally joined the West Yorkshire club aged nine, moved to City in 2009 after feeling that his career was stalling due to a decline in coaching. Alongside fellow academy prospect Louis Hutton, Swan decided to make the switch to Eastlands and Leeds received a reported £800,000 in compensation for the pair. However, after brief loan spells with Stromsgodset in Norway and Sheffield Wednesday, Swan was unable to progress beyond City's Elite Development Squad and departed the club upon the expiry of his contract this summer. Swan left Leeds when Simon Grayson was at the helm during their promotion-winning League One campaign and his exit came shortly after Luke Garbutt's controversial move to Everton, for which United were also awarded compensation. Swan's dad, Peter, who was a defender for the Whites himself between 1984 and 1989, said at the time: "In George's case, his decision to leave was entirely down to feeling his career was not developing." He added: "But having signed at the age of nine when it was a Premier League set-up, George felt it had declined. He feels the coaching is not what it was and that there has been too much staff turnover." Nottingham Forest are among the other Championship clubs reportedly keeping tabs on Swan and it remains to be seen whether Leeds will offer the defender a contract.